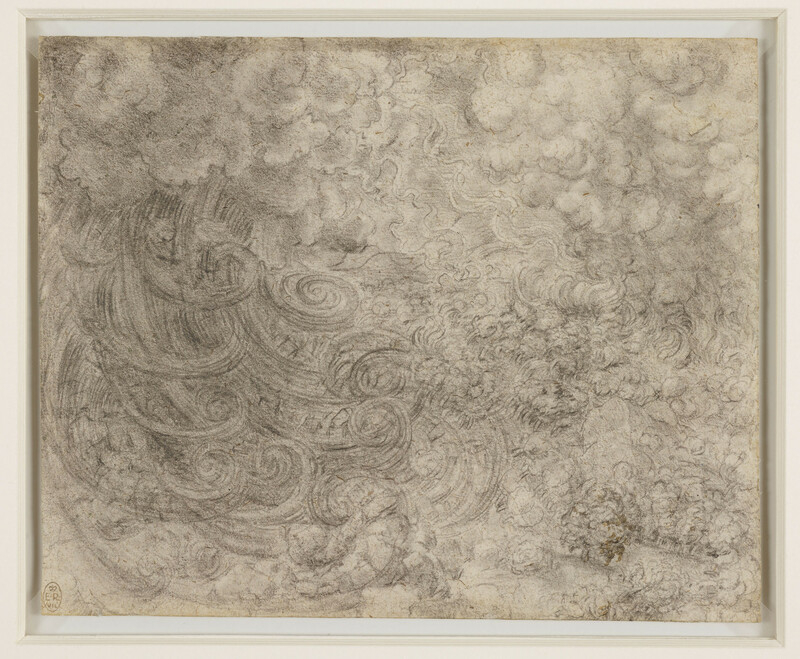 A drawing of a deluge accompanied by a thunderstorm. The great coils of rain swoop down from the left, and above them lightning plays in the sky and lights up the trees on which water-spouts are falling. The depiction of cataclysmic storms was one of Leonardo’s favourite subjects. He wrote with relish about the futile struggles of man and animal against the overwhelming forces of nature, and made a set of nine drawings of a vast deluge destroying the earth. These are not studies for paintings, but expressions of Leonardo’s fascination with storms and destruction, and among the most visionary works of the entire Renaissance.